RETAL Lithuania will install solar panels on the roof of its factory buildings following its successful grant from European Union Structural Funds, with the construction completing in 2018. 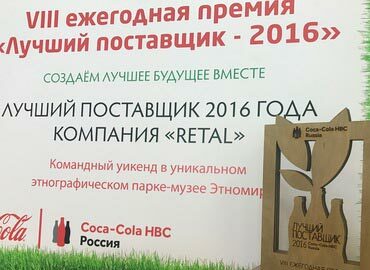 The annual, ninth competition among suppliers, held by COCA-COLA HBC RUSSIA in Moscow museum park Ethnomir on April 18, has become most ambitious since the establishment of the award. The main objective of the competition was to encourage and support best COCA-COLA partners. The winner of 2016 has been chosen among more than 5000 companies. 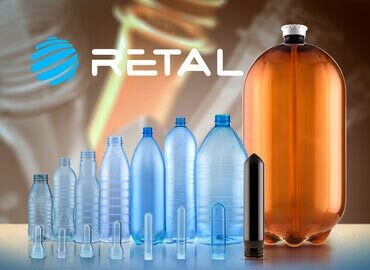 As a result of an acute and complex evaluation, RETAL company has acquired the grand prix for “Best Supplier-2016”. One of the principles RETAL works on is to promptly respond to the market requests for PET packaging. Likewise, an upward trend in the global restaurant industry - the use of modern disposable PET-containers of large volumes – was not neglected. RETAL has started production of preforms for blowing the disposable PET kegs for tanks of 20 and 30 liters.